Film journalist Elisa Leonelli examines the work of Robert Redford as an actor, producer and director, a committed environmentalist, a champion of independent cinema — a true representative of the best values of the American West. One of the world’s most beloved movie stars, Robert Redford played some unforgettable Westerners in his career: an outlaw in Butch Cassidy and the Sundance Kid (1969) with Paul Newman, a sheriff in Tell Them Willie Boy is Here (1968), a mountain man in Jeremiah Johnson (1972), a rodeo cowboy in The Electric Horseman (1979) with Jane Fonda, a Montana rancher in The Horse Whisperer (1998), which he also directed. He produced and directed films such as The Milagro Beanfiled War and A River Runs Through It, about the beauty of the Western landscape and a way of life threatened with extinction. He is the founder of the Sundance Institute, an admirer of Native American art and culture, an outspoken environmentalist. 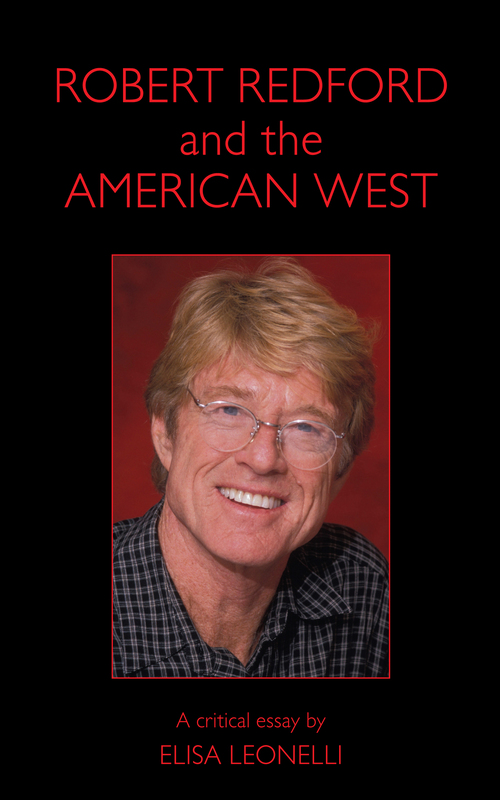 Robert Redford and the American West is an academic study written in accessible language, a detailed analysis of Robert Redford’s work as a filmmaker, in relationship to the mythology of the American West, an insightful look into the creative artist hidden behind the movie star.